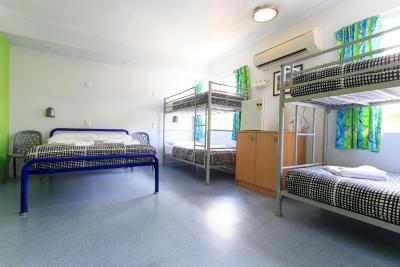 Lock in a great price for Cairns Central YHA – rated 8.5 by recent guests! Everything about the place. Simply the best hostel in Cairns. The staff is very helpful and friendly. I rented a private double room and found it excellent for a hostel. 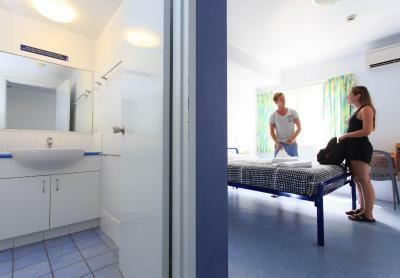 The room was very clean with nice bedding. 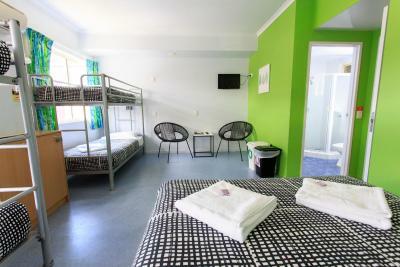 It’s bare bones so you know it’s a hostel, but I think a great room along hostel standards. Fun neighborhood too. 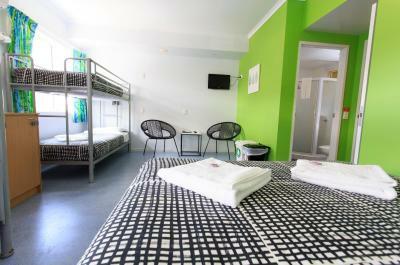 The hostel is in central Cairns but just on the outskirts so it wasn’t too noisy at night. The beds were comfortable and the bathrooms clean enough. This is my first time staying in a hostel as I normally stay in 4-5 star hotels. 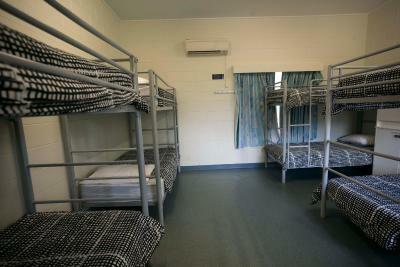 I thought I’d give it a try and Cairns Central YHA more than exceeded my expectations. 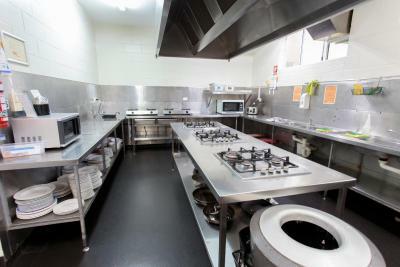 The facilities were very clean and the staff overall were friendly and helpful. Location is central and next to the Train Station. The location was pretty good, and every sight was within walking distance. Daily events like the dollar hot dog night or movie and popcorn night were a great way to get to know people. The front desk staff was super nice. They made great recommendations for the city. The room was clean. Bathroom was spacious. Great staff, very helpful. Good location just across the street from shopping mall. 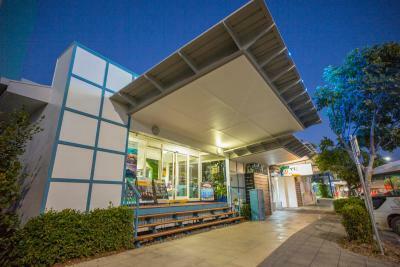 Cairns Central YHA This rating is a reflection of how the property compares to the industry standard when it comes to price, facilities and services available. It's based on a self-evaluation by the property. Use this rating to help choose your stay! Accommodations options include private rooms with an private bathroom or dormitory rooms with a shared bathroom. All rooms are air-conditioned. 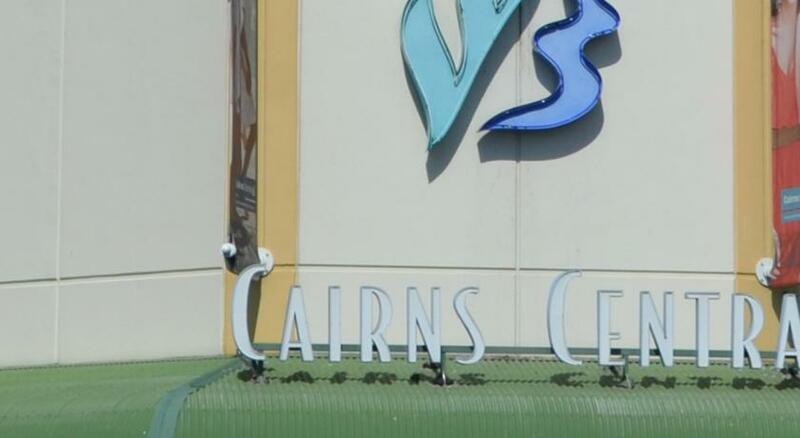 Cairns Central YHA is set opposite Cairns Station and Cairns Central Shopping Center. 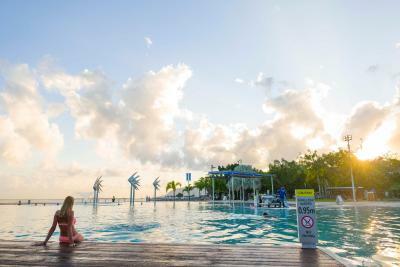 It is 5 minutes’ walk from the bars, shops and cafés along Cairns Esplanade. A largely discounted shuttle bus service from the airport is available between 8:00 and 20:00 bookings are required. 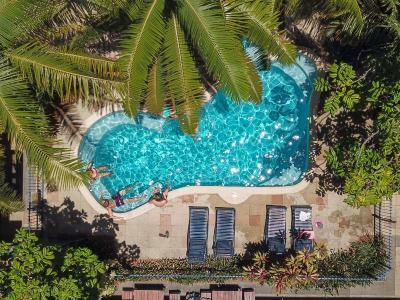 뀐 Located in the top-rated area in Cairns, this property has an excellent location score of 8.8! 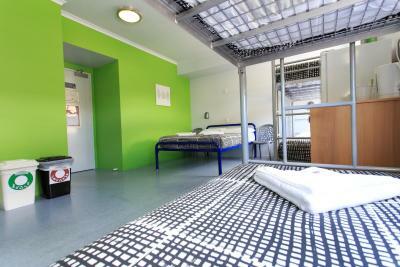 When would you like to stay at Cairns Central YHA? 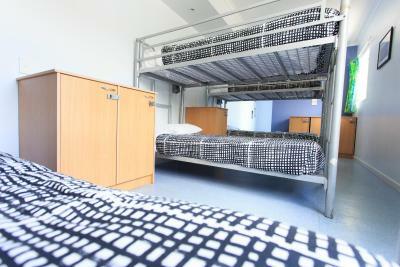 This dormitory room is fully air-conditioned and linens are included. Please note that the price is based on 1 person in a single bunk bed. Please note that the rate is based on 1 person in a single bunk bed. 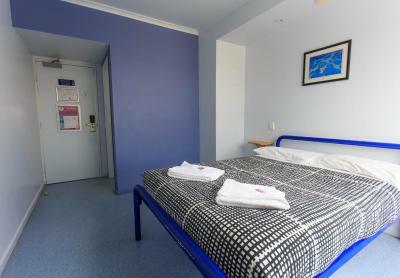 The room is fully air-conditioned and linens are included. 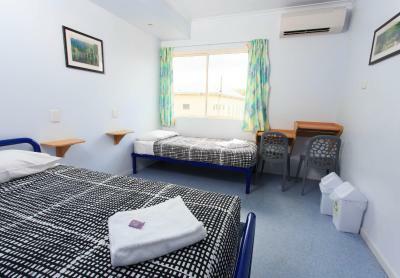 Air-conditioned room with a shared bathroom. These rooms are located from the 2nd floor and above. Features access to shared bathroom facilities. Please note that the rate is based on 1 person in a single bunk bed. This room offers a private bathroom. Linen and towels are provided. 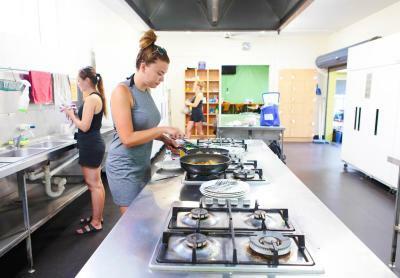 House Rules Cairns Central YHA takes special requests – add in the next step! Cairns Central YHA accepts these cards and reserves the right to temporarily hold an amount prior to arrival. Only pancakes for breakfast, not even a coffee You need to walk literally the whole hostel just to go to the bathroom, you need to install more bathrooms. -Free breakfast was ONLY pancakes -I booked a mixed dorm and got in one full with guys -a lot of old (annoying) people there -plugs are not near bed, no bed lights -you have to pay to store your bags and not even less money!! The bathroom needs to be repaired, when I took a shower this became a lake 😔😄. There are not many places near to walk around. The people working at the hostel are really nice and professional. 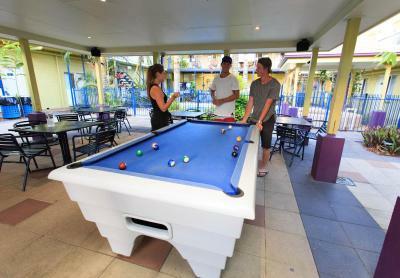 The hostel also provide some cool activities there. For example, the night I arrived, I joined the event at a bar and enjoyed free pizza. They introduced me nice tours to go snorkelling and intro dive sessions. The garden there is beautiful with a swimming pool. It was a lovely and impressive experience. 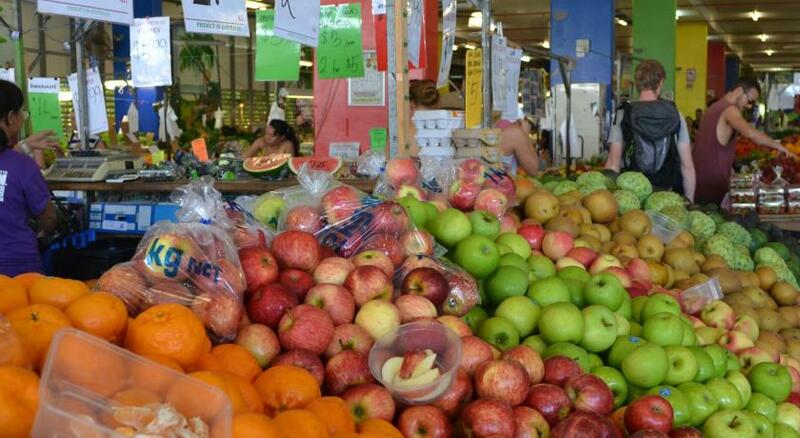 You can walk to a super market Coles in 5 mins. I can't think of much we didn't like except the internet service. Had to constantly relog on, got dropped and even when we were connected there were extremely long waits between sites. There was no lift so difficult if you have heavy or large bags to take up the stairs, air con takes time to start up but worked fine after, electrical sockets in odd place and none near my bed which was frustrating, communal kitchen was a bit too busy at meal times and therefore wasn’t always looking very clean. Hostel can be a bit noisy so good to bring earplugs. Good location right next to a large mall (with food options) and a short 10 min walk to the esplanade. Room was basic but clean and comfortable, staff were helpful - was most appreciative when one of them helped me with my suitcase as there was no lift! Free pancakes every morning were pgreat and the general vibe of the hostel was social with lots of events (e.g. pizza night) throughout the week. There was a pool although I didn’t use this and a communal kitchen where you can store your food in a fridge etc. 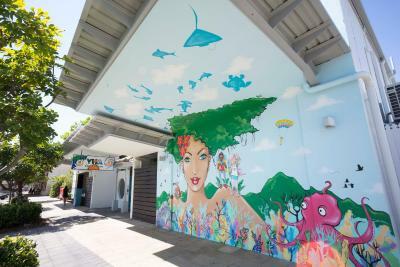 Another bonus was the free helmet dive with one of the Great Barrier Reef tours when booking with this hostel (this normally costs $125 so was a great saving). 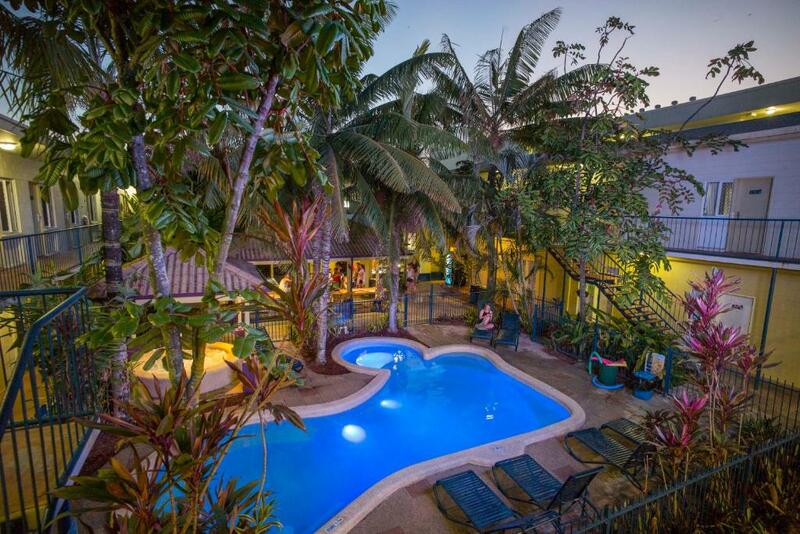 Everything, from this top quality hostel in Cairns. The facilities are first class. 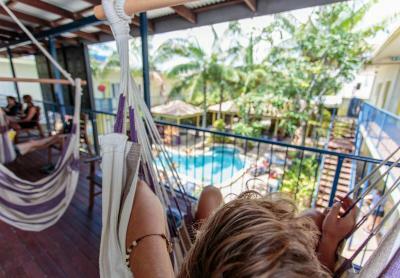 Simply the best hostel in Cairns. The air conditioning in the rooms was excellent and the room never felt too hot, and the free breakfast was a bonus. The kitchen was well equipped and there were always events being put on in an evening by the hostel such as showing a movie on the big screen. The staff were lovely and always willing to help with booking tours and transfers to the airport. We had a double room, it was just space for the bed, nothing more. There was no way to control the aircon, except on and off, the normal setting was very cold (because of the small room it was extremly cold). The Wifi was very disappointing. The free Wifi in the room had just arround 1 mb/s so we bought the premium Wifi, but there was no difference - i don‘t understand this in the year 2019. Pancakes for free every morning. Everything was clean. Individual bathroom at room for 4. Location. Toilet door slumped sound all day all night can be fixed by put some blue tag to reduce the noice when closed the door.